A few months ago, I wrote something about 'turning my rejections into a positive'. It was about getting rejected for the third time. If you must know, I applied countless times for a US Visa, yet I got denied over and over. I actually thought about visiting Canada instead, since friends advised that it was easier to get a visa from that country. Just maybe, it can be my first time to fly via Air Canada when given the chance to travel in North America. Anyway, this specific photo made me think if I'll ever get the opportunity to see this part of the world. 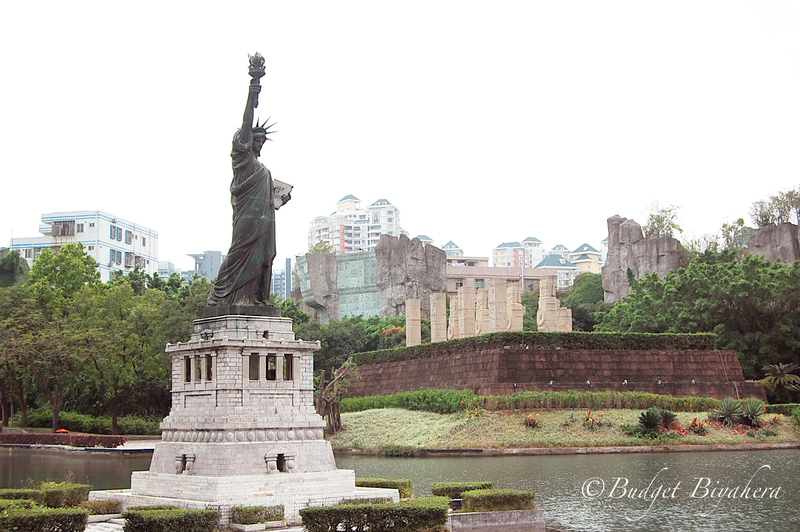 I was already excited when I saw this miniature structure of the Statue of Liberty in Shenzhen's Window of the World park. But of course, I wanted to see the actual one in New York City! 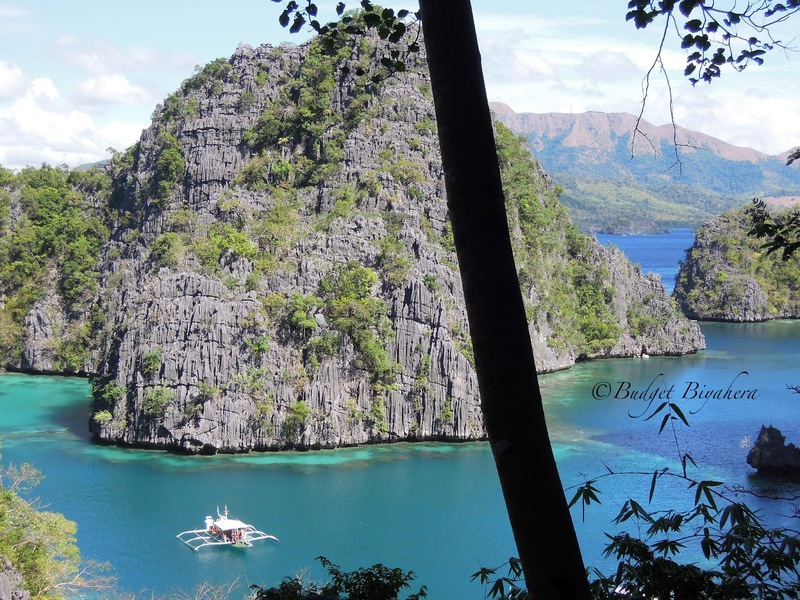 This would have to be the most perfect view of Kayangan Bay. I already saw different versions of it from other people's photos. But to see it in actual, was remarkably mind-blowing! I've already mastered the art of timing 'jumpshots'. So I was confident that I would be able to take plenty of photos without tiring-out my 'models'. Given that, I asked my siblings to jump into the water. 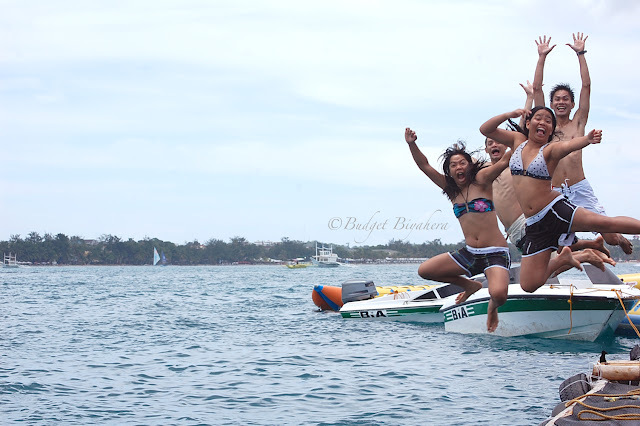 This photo of them in Boracay, never fails to make me smile. 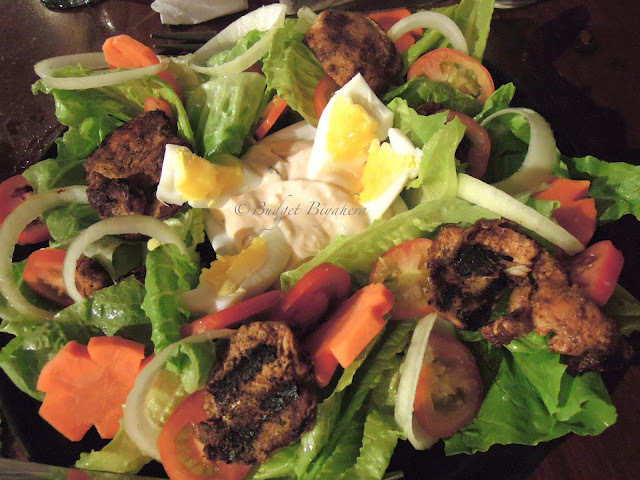 The Buffalo Chicken Salad was one of the highlights of our dinner at Evangeline's Emohruo Beach Restobar. My beau and I loved the flavor of the boneless chicken, especially when we dipped it with the vegetables in the ranch dressing. I've been traveling since I was a kid. But I've only traveled extensively in 2007. 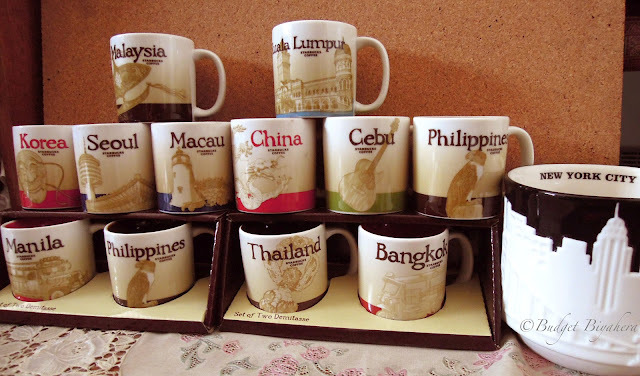 Although it was only in 2010 when I started collecting these Starbucks' Global Icon Series Mugs. So instead of bringing home different kinds of souvenirs from all of the places that I've been to, I buy these instead. Now, I've already been to these local and international destinations (except for Malaysia and New York City). But I'm still missing quite a few cities from my previous trips. I took this photo of my niece, Teyt during her morning swim at Ronco Beach, Batangas. 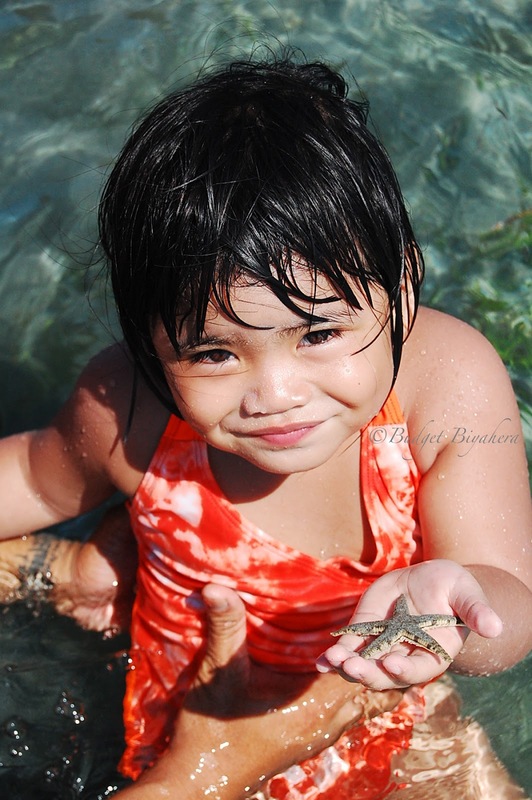 This would have to be one of those priceless moments, when your niece (who was just 3 years old then) finally decides to no longer be afraid of a tiny sea creature - a gray Starfish. ***It took me quite some time to really go through all of my photos, as I wanted to share 7 of the best ones that I've captured. I may not be a professional photographer. But I can say that I am proud for having taken these '7 SUPER SHOTS!'. Ay totoo yan! I was so OC, gumawa muna ako ng doc.file with my photo choices.. yung pinaka swak sa "lines", yung ang ginamit ko..hehe! I love the jumpshot! It would really make you smile. There's a trick needed to master jumpshot! You did ur home work very well! Nice collection! Awesome! I love the photos! wohooo .. picture perfect, my appetite for good photos this morning is so complete. I wanna see more from you, your travel and your story :) I love photos with travel memories. Ah, super shots indeed. That line of mugs up there is just fantastic. At some point, it is full of reflections and meaning :) Keep posting amazing photos! Love the jumpshot picture. Looks like you really had fun there, and that Buffalo Chicken salad shot really does look yummy. Thanks for sharing them. and i like the Makes My Mouth Water, kakagutom!! Nice photos, galing! What camera do you use? Love the pics you chose! Great post! Wow! All photos are well-deserved Mai! Congratulations for this fantastic compilation! Thanks Edmar, my friend! Hehehe.. Awesome shots, photo # 4 caught my attention. You dream to be pala to be a dancer but why nga hindi mo itinuloy?